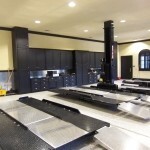 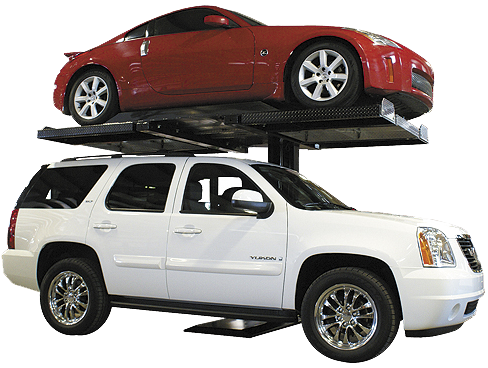 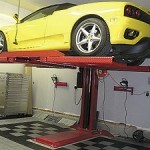 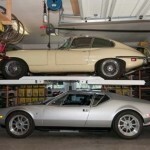 Our single post car lifts are perfect for cars and small trucks. 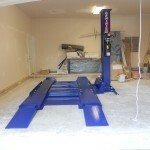 The single post design is great for garages without a lot of floorspace to spare. 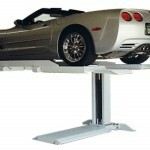 The SP-4 has a lifting capacity of 4,500 lbs or you can add a little muscle with the SP-6’s 6,000 lb capacity. 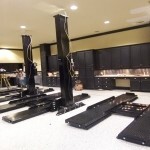 Single post lifts are for storage use only, not service. 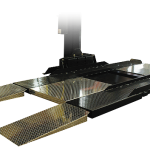 INSIDE TRACK WIDTH 79" 79"
OVERALL LENGTH 13' 8" 13' 8"
TRACK LENGTH 12' 8" 12' 8"
MAX HEIGHT CLEARANCE 70.5" 82.5"
COLUMN HEIGHT 9' 5" 11' 11"
MINIMUM CEILING HEIGHT 9' 6" 12"